One of the problems of the Internet age is an increasing expectation that things just work. When things go wrong, people (over)react as though it is the end of the world, jumping onto social media to voice their dissent in public. Unfortunately, this is just one of the realities of modern life. With this in mind, webmasters face additional pressures to make sure everything on their website is A-Okay. One of the most common website “breakages” you are likely to face is the dreaded 404 error — though this really doesn’t have to be something you fear. Today I want to take a look at what 404 errors are, what they mean, and offer some solutions for WordPress users to fix them. Let’s start by looking at what a 404 error actually is. When you see a 404 error, what you are essentially getting is a “not found” error – in other words, the website is working, but the particular page you are trying to view can’t be found. 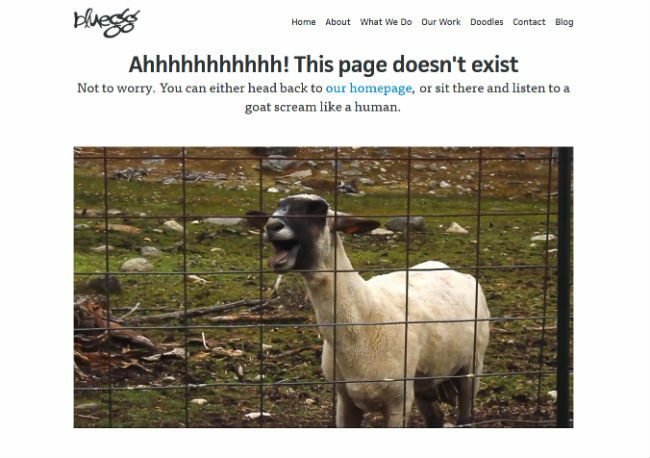 On WordPress websites, if a visitor tries to access a page that isn’t there, the default response is to display the site’s 404 error page — all sites have one, though some WordPress themes support a prettier design, and you can also build a custom 404 page. There are a number of reasons why your visitors might experience a 404 error, some within your control, some outside of it — for this reason, it is almost impossible to avoid 404 errors completely. Let’s start by looking at the causes you can control. The most common cause of 404 errors is a change to your website’s permalink structure. When you change your permalink structures, you essentially move all of your internal pages to new URLs. Any links pointing towards the old URLs are instantly broken, and, hey presto, you have a whole load of 404 errors on your website. 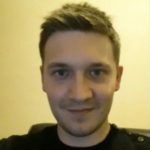 The solution: find a permalink structure you’re happy with from the start, so you don’t have to play around with URLs in the future – this avoid broken links down the road. The same thing happens when you delete pages from your website – any links to the deleted page are now pointing towards a page that doesn’t exist. The solution: don’t simply delete pages! If content becomes outdated, inform visitors with a simple note at the top of the page. You could also consider redirecting the old page to fresher, more relevant material. And some links were just plain broken to begin with. Typos happen, and while you can fix all errors at your end, it requires cooperation from other webmasters to fix broken external links. The solution: Double check your links before publishing a post. There is not much you can do about external links, except contact the owner of sites with broken links and hope they are willing to fix them for you. Of course, you can also contact external webmasters about any links pointing to old or deleted URLs, too. 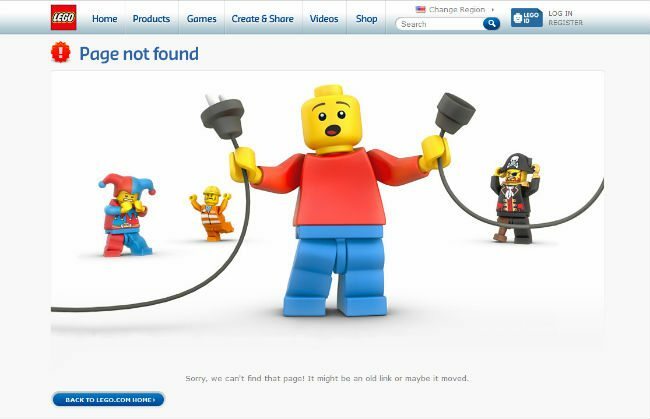 Why do 404 errors matter? It’s worth pointing out upfront that, contrary to popular belief, 404 errors won’t directly impact your website’s SEO performance. Well, it’s all down to perceptions. Remember: people hate it when things go wrong, and, whether your fault or not, a 404 error is an example of something going wrong. If your website is littered with 404 errors, visitors will become frustrated, and this makes them far less likely to become customers. In fact, it makes them far more likely to leave your website – landing on a 404 page creates one of the worst first impressions, and will result in most visitors hitting the back button instantly. However, when you look at it this way, 404 errors do impact your bounce rate, and this is a factor Google does factor into its algorithms. This means, indirectly at least, 404 errors could hurt your position in the SERPs somewhat. More worryingly, 404 errors can make a website appear “spammy” and low quality, and people won’t be prepared to hand over their payment details on a website they don’t trust – therefore, expect your bottom line to take a hit. With your website’s profitability at stake, it is fundamentally important to keep 404 errors to a minimum. With literally thousands of WordPress plugins out there, it’s unsurprising that there are a good number of plugins dedicated to the task of fixing 404 errors. To help you fix your 404 errors, here are three free plugins. Remember back to our first cause of 404 errors: changes to permalink structures, leaving a plethora of broken links pointing towards old URLs. If you suspect you might want to change your permalinks at some point, make sure you add the RB Internal Links plugin to your website from the very start. The plugin uses shortcodes rather than HTML to direct internal links, and these shortcodes point towards the latest URL for a specific page. In other words, if a URL changes, the shortcode automatically reflects this – no more broken links. As an added bonus, RB Internal Links also makes it easier for you to find the internal page or post you are looking for – particularly useful if you have hundreds of pages to search through. Note: the plugin is only helpful when installed on your website from day one, so that all your internal links are in shortcode form. If they are not, the plugin won’t be much use. One of the best ways to fix known 404 errors is to redirect them to the correct URL – known as a 301 redirect. This allows you to fix broken URLs caused by permalink changes and deleted pages. You can also use it to fix broken external links – if an important external link is broken, you can redirect the URL it is incorrectly pointing at to your desired location. Redirection is one of the best 301 redirection plugins around, and this can help you resolve the vast majority of your 404 errors. The plugin monitors existing 404 errors, and makes it quick and easy to configure the correct place you want to send visitors to. The plugin also displays a log of all existing redirects, which makes them super-easy to manage. Best of all, the plugin will automatically add a 301 redirect when a post/page’s URL changes. If you want the ultimate tool for monitoring your links to look for 404 errors, check out the Broken Links Checker. After installation, the plugin scours every link on your website looking for broken links and missing images. If it finds something, you can set up instant notification via email, or the plugin can display them in your WordPress dashboard the next time you log in. From the plugin interface you are able to see all detected broken links, and you can resolve the problem – either by updating the URL directly or removing the link – or dismiss it. A simple plugin, but one that can be very effective at keeping the number of 404 errors to a minimum. There is one other option that many top websites employ: a custom 404 page. Many websites accept that 404 errors happen, and they aim to minimize disruption when a visitor lands on their 404 error page. Well, you’ll see a lot of websites using a clever design for their 404 page, or a witty pun, so that when someone lands on it, it’s completely inoffensive and doesn’t hurt user experience. 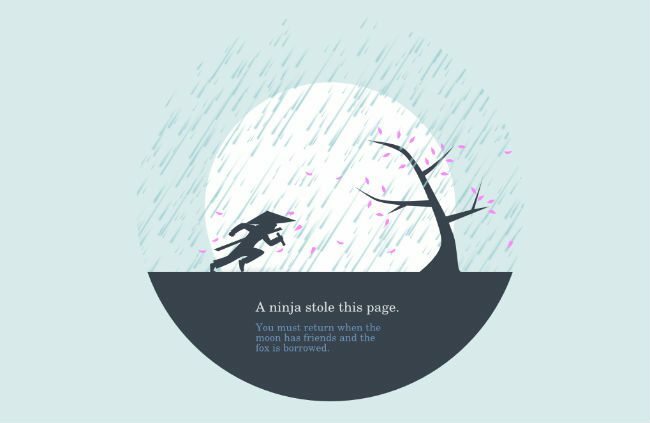 There are actually some really well designed 404 pages, and I’ve included a few examples below. You could also consider making your 404 error page as useful as possible, by linking to some of your best content – usually more general content is better, as you don’t know what a particular visitor is looking for. Think outside the box, but remember that 404 errors don’t have to be a user experience disaster. Hopefully this post has provided you with some insight into the world of 404 errors. Although it is best to fix any known errors, if your website still has some, try not to fret too much – not all 404 errors can be resolved, and even major websites have them. If you are worried about 404 errors on your website, try installing some of the plugins outlined in this post to keep them to a minimum, or get creative and design your own 404 error page. Do you have any tips for eliminating 404 errors? Let us know in the comments section below!